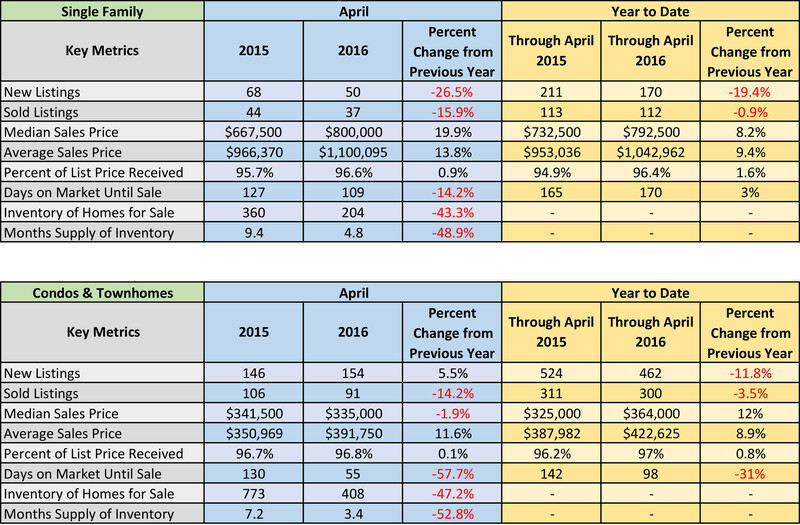 Despite a 26.5% decrease in Single Family Home inventory for April, 2016 compared to April, 2015 in Summit County, Colorado; the percentage of available properties that sold during April rose by 10% compared to April, 2015. Condos & Townhomes saw a 5.5% increase in inventory this April over April, 2015, but the properties that sold were on the market for 58% fewer days than in 2015. The number of available condos & townhomes that sold during April rose by 6% compared to April, 2015. The graph below shows the luxury market share in Summit County growing, despite lowered inventory.